"Epic brilliance. Masterful and expansive writing from one of the bravest purveyors of narrative songwriting... His dexterity with fiction has led to some of the most inventive and poignant songs around; the unbound capacity of his imagination is always matched with a tender, human poignancy, and it's in that place, the intersection of boundless imagination and tenderness, that these songs of Robert Morgan Fisher's live. In a time when many artists deliver precious little, he brings more than you'd ever imagine. And then some." 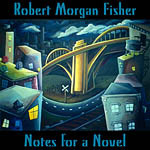 (5 stars) "Robert Morgan Fisher is truly one of the best Roots/Americana songwriters to place a pen on paper. His songs have a realness that reaches the inner soul of the listener. Very few songwriters have this ability and even less can bring forth the dynamic vocal expressions to deliver songs as these and give them life with such conviction." There is really no weak song on this album... just buy it, you'll definitely not regret it. ... if you were looking for just one reason to validate this album it would have to be We'll Buy A Flag, which, duetting with Julie Christensen, delivers a stirringly heartfelt critique of the blind jingoistic patriotism that followed 9/11 and a lament for how the Bush administration and the Patriot Act's annihilation of civil liberties turned a pride in America into shame. The short stories that are presented by Robert Morgan Fisher on his latest album NOTES FOR A NOVEL could indeed form the basis for an interesting book. Typical American issues are forming the subject of the songs, which makes us conclude that the largest part of success for this record is to be expected in the land of hope and glory itself. "NOTES FOR A NOVEL is a remarkable document from an extraordinary talent." "NOTES FOR A NOVEL has to be one of the purest forms of folk I have heard in a very long time … Robert Morgan Fisher embodies the richness and honesty of a true folk singer/songwriter. He really is a "Narrative Engineer.” You need to hear this album, it is astounding." "After listening to this record, this writer has come to the conclusion that Robert Morgan Fisher is the Hendrix of the written word." 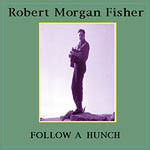 "Robert Morgan Fisher is just that sort of genius who knows when to shout and when to whisper. He does both in his new collection NOTES FOR A NOVEL, and for those who sit up and listen, there are many moments of beauty and affirmation… This is one of those albums I’ll listen to again and again." 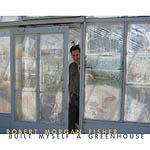 "Robert Morgan Fisher is one of the finest singer/songwriters on the planet. These myriad songs are all woven together like a fine tapestry. Kissinger is a masterpiece! As are Jester King and We'll Buy A Flag. There isn't a weak song on this CD and Fisher covers the gamut in subject matter, stories and melodies. His vocal guests like Janis Ian are more than impressive. Just do yourself a favor and buy this great piece of music!" "First, I have to say thus is one of the most beautiful, well realized designs I have seen on a CD in a long time. Love the artwork, and it suits the pictures which are created inside. As a writer/lyricist Robert Morgan Fisher uses words in ways few people do these days. Yes, the novelist's heart. Evocative and fearless, and I tip my hat to him. Just take a listen to Kissinger for confirmation of that. A great wordsmith and storyteller. The production is rich, his voice is a unique instrument, and it all adds up to a style and musical experience that is different than the mainstream of what is going on out there. The musicians on board are all first rate. Check out the duet with Janis Ian. NOTES FOR A NOVEL ... it would make a great book. But it makes for an even better collection of music." "Fisher understands the immediacy and intimacy of studio recording, and his most fascinating work here - on the ballads - features a careful, quiet vocal presence and warm instrumentation that feels like a comforting whisper. Producer Chad Watson, who has worked with Fisher on all three of his albums, seems to have an innate spiritual connection with Fisher's intention here, expertly maneuvering each song around the twists and turns of story, commentary and/or tenderness as they approach, pass by and ultimately linger in the mind." "Robert Morgan Fisher's new project, NOTES FOR A NOVEL, is a wonderful collection of prolific folk songs laced with thought-provoking stories, sprinkled with humor and irony... Kissinger is brilliant! I strongly recommend this CD." "Robert Morgan Fisher was born to write. He is a natural born word man and when he puts his words to music, the songs will grab you with their wonderful use of language. His latest CD contains an all star cast of contributors and they wouldn't be there if they didn't believe in this man's songs. Give this CD a listen, there's plenty here to enjoy." " ... his songs have a wry sense of humor ... and he's worked with the best ... following in the footsteps of the folk revolution of the 50's and 60's, robert is as politically aware as he is melodic ... we are currently enjoying his songs on our CD player as we write this. we'd happily encourage everyone else to do the same." "... inhabits and speaks for those who can't. Love the songs and they sound great." "Fisher writes funny, imaginative and intelligent songs. Like our best songwriters, he is capable of using real humor to uplift a song and underscore its meaning, without ever obscuring or trivializing the subject. He's expert with narrative and manages to write songs about ordinary things, like a guitar or a cup of coffee, and make something special out of them. He's also a strong singer who lets us hear his lyrics, and the production -- by Fisher and Chad Watson -- is first-rate. The inclusion of excellent musicians like Byron Berline makes something good even better. This one is worth your while." "...Very satisfying country-flavored folk. Fisher's gravelly vocal style lives on the same street as Jerry Jeff Walker and Bill Morrissey. His songwriting ranges from simple yet wryly humorous lyrics (ala John Prine), to the literary complexity of 'Devil Drives A Dodge,' and 'Alcohol' (I'm a stylus that is driven to play the record of ambition...') ... a first rate songwriter ..."
"... Fisher, a writer by trade, delves deeper into the dark side of human experience ... clever phrases give way to impressionistic pictures ... As the album title suggests, 'Following A Hunch' may be highly valued by Fisher, but these songs are well-produced with the help of fine musicians -- somebody had a plan!" ". . . A very talented writer and the performances are first rate." "'Follow A Hunch' is one of the lost masterpieces of 1996."